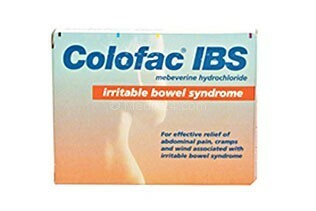 Colofac is used to treat the symptoms caused by the Irritable Bowel Syndrome (IBS). Colofac contains mebeverine hydrochloride, an ingredient that belongs to the group of antispasmodics. The way this medicine works is that it relieves the spasms and pain caused by IBS.